Can an Open World Become Too Open? Grand Theft Auto V’s fictional city of Los Santos is about the size of most real-world major cities. A world in Minecraft can generate to be larger than the surface area of the planet Neptune. So can you imagine how intimidating it will be to play in a game world that is literally the size of the universe? That’s what the developers of the upcoming PlayStation 4 indie title No Man’s Sky claimed earlier this week at Gamescom 2014. The game, they said, can generate entire universes that are so vast you will literally need five billion years to visit each unique planet. I will say this straight out: that is an impressive feat of programming. I wonder, however, how a game world that large will fare with the average gamer? Before I get too in-depth, a quick disclaimer: I prefer games that are more structured than the open-world games we are seeing more of today. I like stories with a beginning, middle, and end that aren’t overly riddled with extra side quests. Perhaps this is one reason why I prefer The Legend of Zelda: Ocarina of Time to Majora’s Mask. There is no point to the long side quest for the Biggoron Sword in Ocarina other than being a bonus challenge; though that sword is more powerful than the Master Sword in regular combat you cannot defeat Ganon with it. However, properly beating Majora’s Mask practically requires you to perform every side quest in order to receive the Fierce Deity Mask, which grants you easy victory over the otherwise difficult Majora. But just because I’m not crazy about games like Skyrim doesn’t mean others aren’t. I frequently overhear many men in their late teens-early twenties bragging about how many hours they wasted battling dragons or working on seemingly endless side quests. For many, open-world games are the best of diversions, capable of being played for anywhere from a few minutes to several hours. This very likely is the demographic Sony and Hello Games hope to share No Man’s Sky with. But even if players enjoy an open world as large as the universe of No Man’s Sky, can there be enough unique quests in this to keep the players captivated? One would expect there to be as many unique quests as planets. But if there aren’t…? Here is where I think No Man’s Sky will be a huge success. Even if there is a limited amount of things players can do in the game, the vast universe of the game will compel them toward exploration. What do I do in Minecraft when I am tired of punching yet another tree, or mining for yet more ore? I travel. 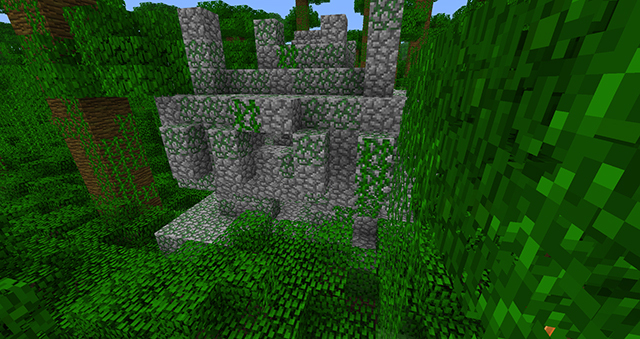 I look to see what other biomes I could find, or search for a newly generated Desert or Jungle Temple. I could even leave my single-player game and jump online on a server with friends, where we can play on a new open-world map or even play custom multiplayer or co-op scenarios. 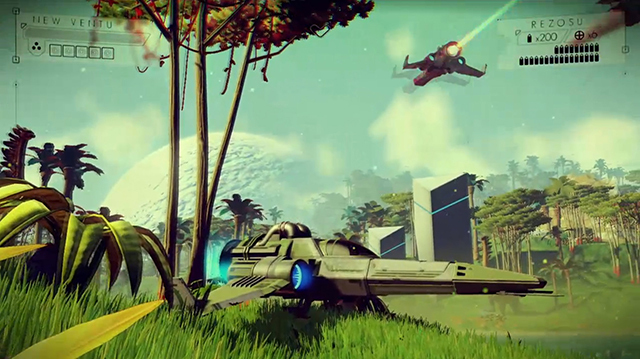 No Man’s Sky appears as if it will offer very similar gameplay experiences to Minecraft, with the focus being on players creating whatever scenario they feel like having at the time. They can explore when they want to explore, battle when they want to battle, and share experiences with friends online when they feel like that as well. An open world as vast as the one we will see in No Man’s Sky certainly won’t feel empty, especially what it will be filled with is potential for players to fight as much as they want, explore as much as they want, and marvel as much as they want. The model for games like these is simple: let these massive landscapes entice the imagination, and soon players will be virtually living in the most realistic and immersive landscapes gaming has yet to offer. The Minus World is written by Steven Brasley. You can keep up with his thoughts on gaming via Twitter. Check back every Tuesday for new articles.